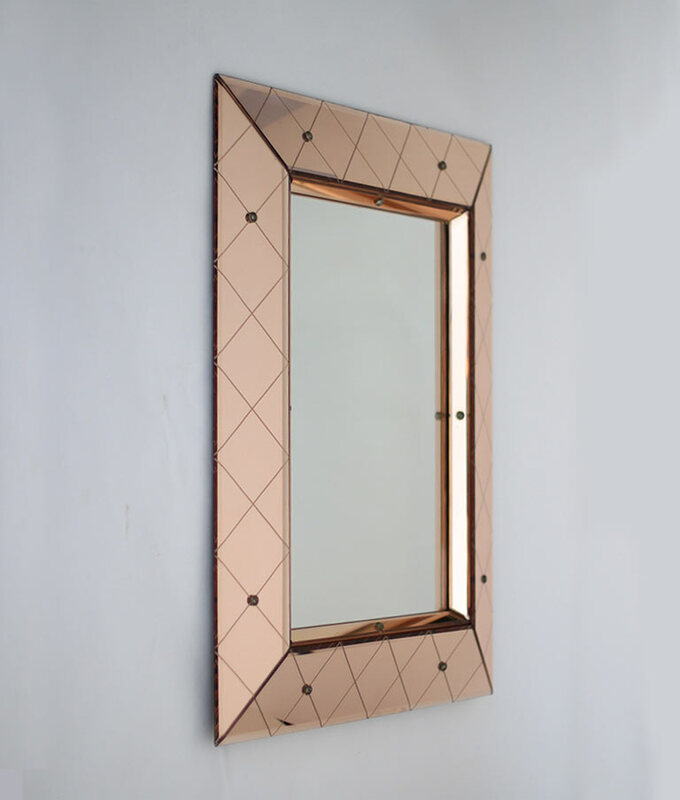 A rare Fontana Arte mirror by Luigi Fontana. 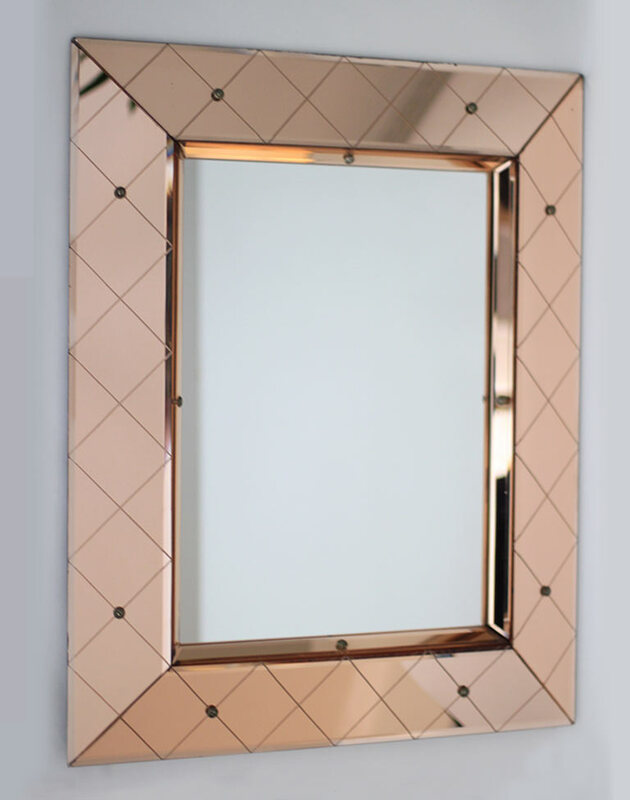 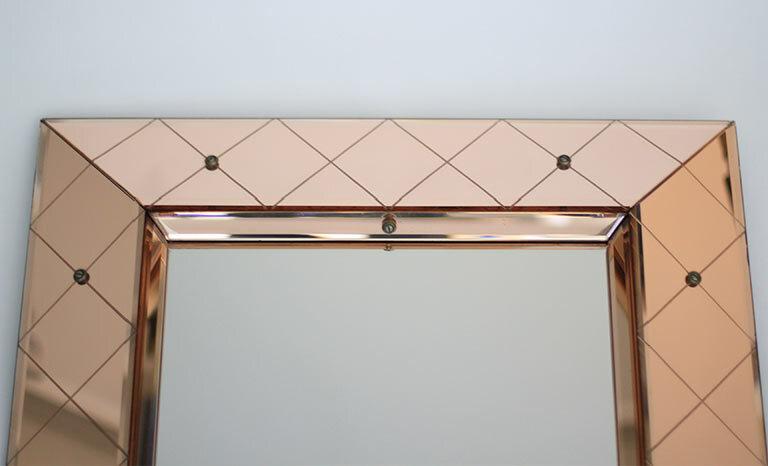 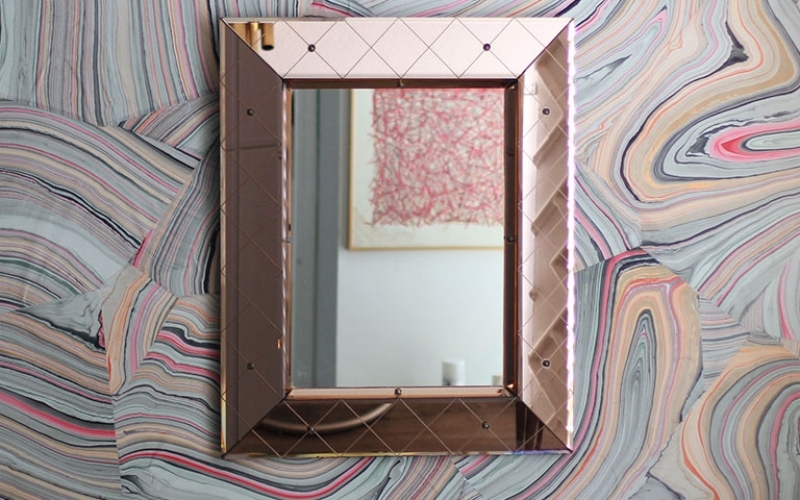 The mirror is made of pink crystal panels that are engraved in a diamond pattern and mounted on a hardwood frame. 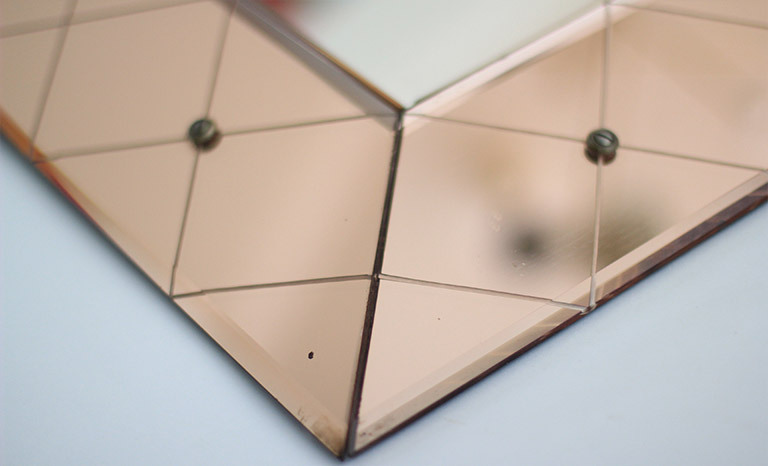 The mirror is in excellent condition with no chips to the glass. 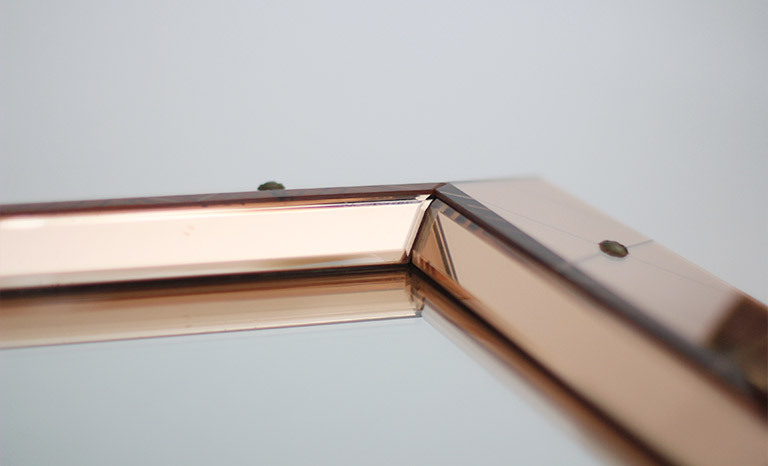 Fontana Arte is the artistic division of Luigi Fontana & Co., a glass manufacturing company started by artist Luigi Fontana in 1930.